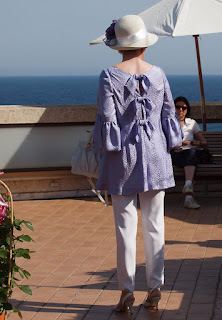 Even an oblivious, clueless male like me can tell that the color coordination between the lavender hat and blouse makes this woman well accessorized. 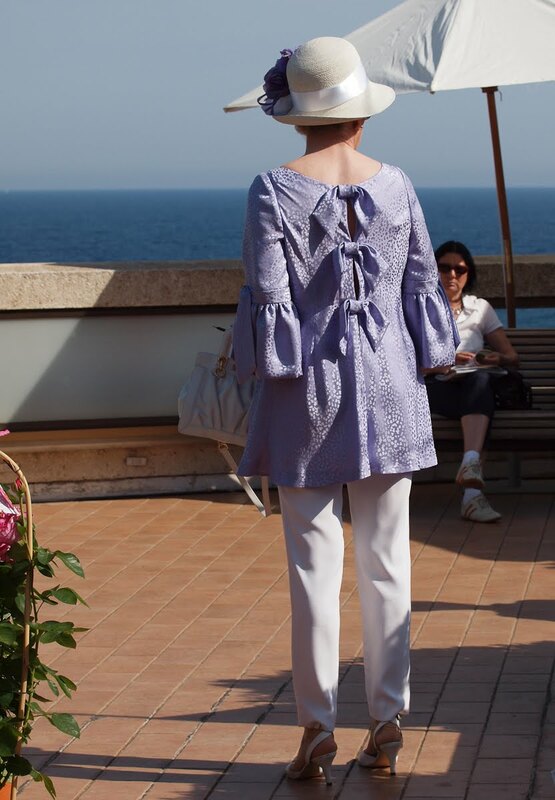 Oh, but look at those heels. What IS she doing to her legs and to her back? Comfort be damned. She's gorgeous. The hat is outstanding! What is it with hats, lately... No hats here in Barcelona, sadly enough. Or maybe we're not in the right circles. I think she has been to a plastic surgeon once or even twice. Nice hat.